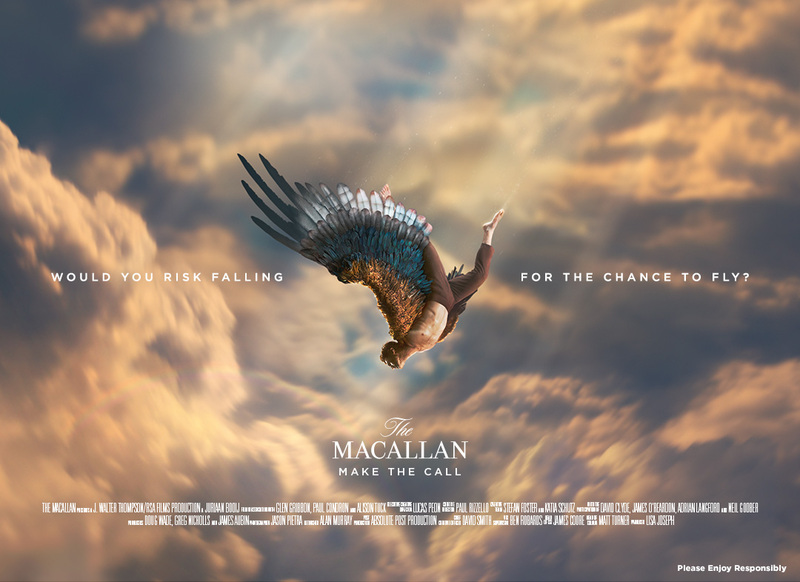 Under the creative lead of global creative agency J Walter Thompson London, The Macallan launches Make The Call, its first ever global advertising campaign that underpines the brand’s luxury credentials, and introduces new consumers to world’s most precious single malt Scotch whisky. Directed by Juriaan Booij of RSA Films, and shot by John Mathieson, the two-time Oscar-nominated Cinematographer behind Gladiator and X-Men, the new long-term integrated brand campaign is broadcasted across television, cinemas and digital channels at key markets such as the United States, Mexico, Taiwan, China and the United Kingdom. The 90-second hero film brings to life Make The Call, describing the philosophy of The Macallan, and delivers a powerful statement of encouragement and confidence for those brave enough to spot the risks worth taking, and follow them through to success. An emotional visual story, delivered with cinematic beauty combining stunning visual effects and CGI, the portrayal of a man yearning to achieve great things, making a bold decision which ultimately leads to a more fulfilling life, has pioneered new techniques from the first use of motion capture in a wind tunnel, to 3D matte paintings created using VR headsets – with creative and strategic work spearheaded by J Walter Thompson London, with support from network offices in Moscow and Shanghai, as well as the sister agency Hudson Rouge in New York. Following The Macallan’s momentous year in 2018, when they opened its world class new Distillery and Visitor Experience in June, the Make The Call campaign further exemplifies in the brand’s illustrious history of making significant decisions: from its commitment to using exceptional oak casks, to the creation of an innovative and architecturally-designed masterpiece in the new Distillery and Visitor Experience – a fantastical tribute to people who make the call to choose a bigger life.